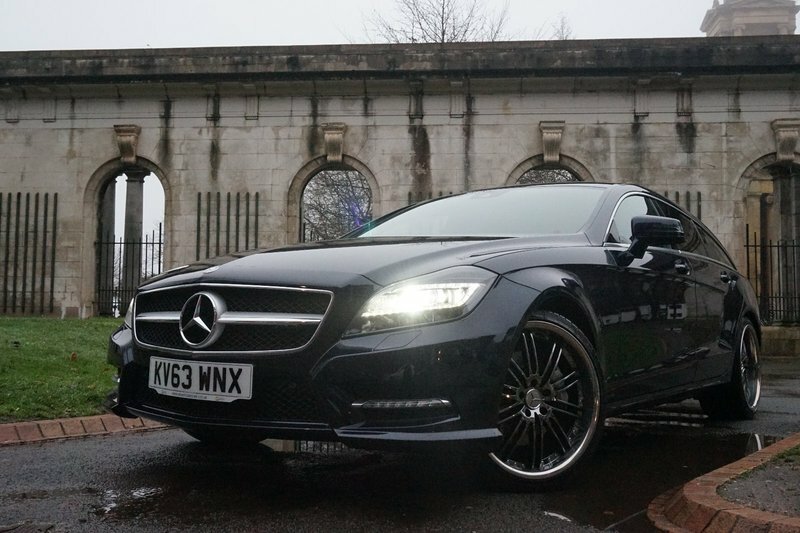 An astonishing 2 former owner Mercedes CLS350 AMG Sport Shooting Brake kept in desirable condition. Features with Reverse Camera, Navigation (Becker Map Pilot System), Upholstery Leather/Heated/Electric Seats, 20" Alloy Wheels, Parktronic with Park Assist, DAB Radio, and Auto Electric Tailgate. Full service history with Mercedes dealer (5 services done) - Service B9 JUST DONE in Dec 2018! MOT until 18/06/19. Spare key included.3 Month Warranty (can be extended to 24 months), Low rate Finance package available! Drive away same day! PX Welcome! 12 Month AA Break Down Cover! We are open Sundays too! Please call to arrange an appointment! No admin fees or any additional costs at point of purchase!